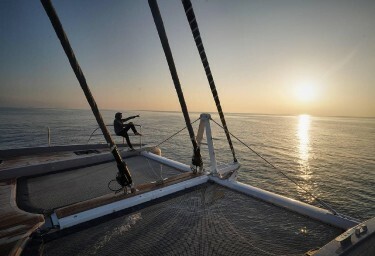 Photo Credit: main profile picture: Nicolas Claris. 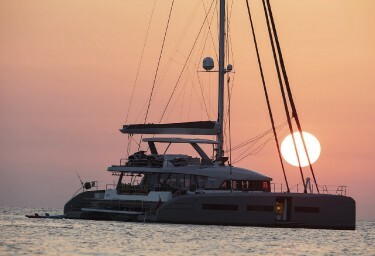 BABAC is just the third hull in this superlative range of multihulls built with the luxury yachting lifestyle in mind. The flagship of the Lagoon fleet, the Lagoon Seventy7 was launched to much acclaim and instant success at the 2016 Cannes Yachting Festival. 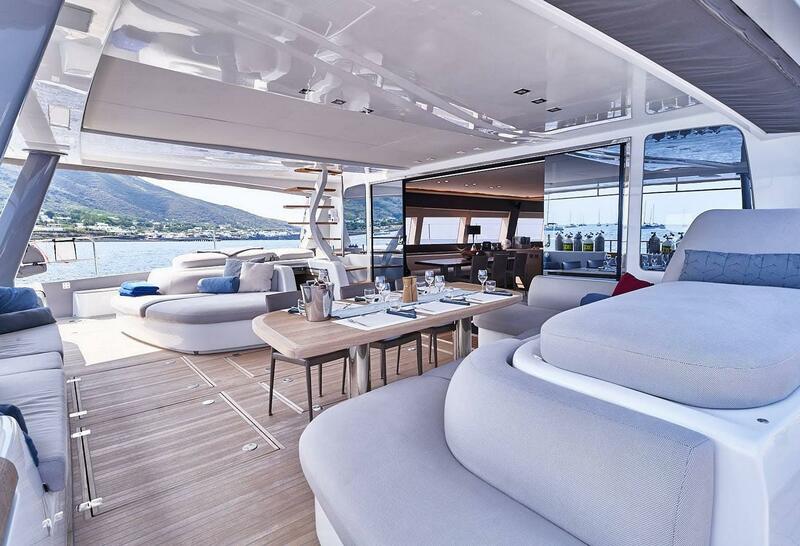 At 77ft (23.28m) and 36ft (11m) wide, the Seventy7 is the largest sailing cat ever built by Lagoon and a true superyacht. 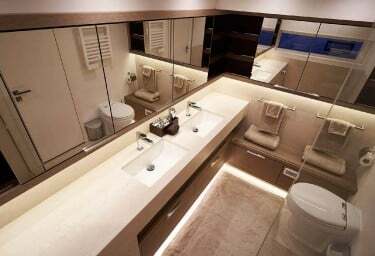 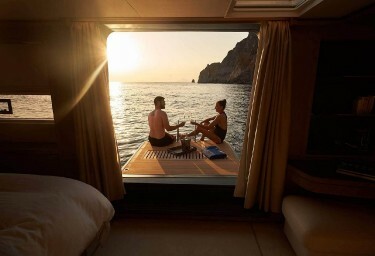 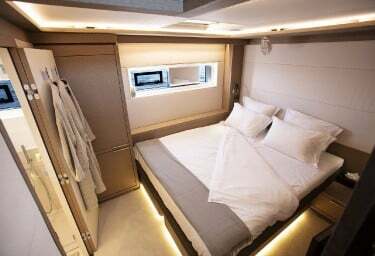 Luxury charter yacht BABAC is an extraordinary example of the culmination of vision and craftsmanship producing the pinnacle of luxury charter cruising catamaran. 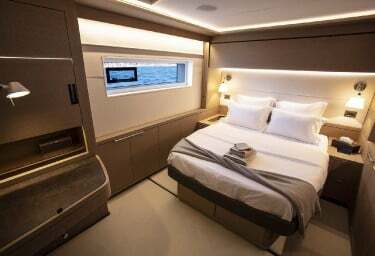 Fresh to the charter fleet, BABAC has been designed and styled with absolute consideration for onboard relaxation and harmony. Interior décor is characterised by a palette of soothing cream, beige and brown tones, timber paneling in grey oak, darker oak for flooring, and an interesting mix of textures and decorative elements such as cushions and furnishings in deep red and some touches of blue. 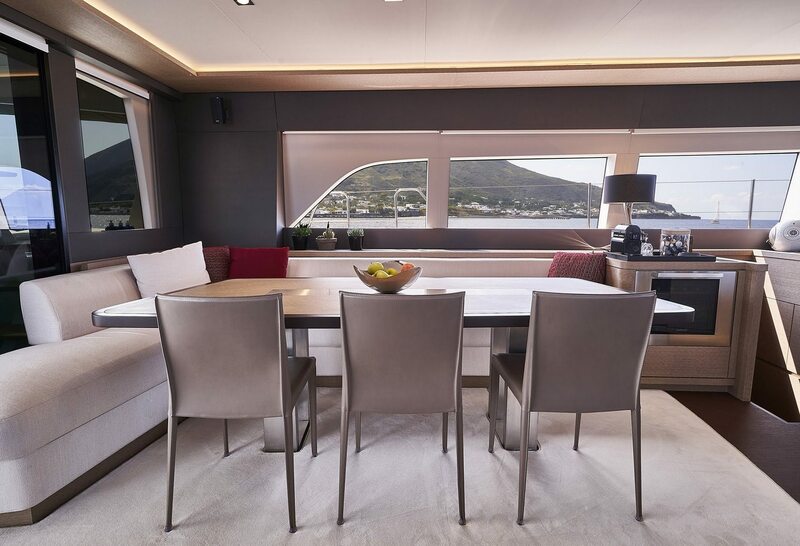 Inside, the expansive saloon has lounge and dining spaces with unimpeded wraparound views. 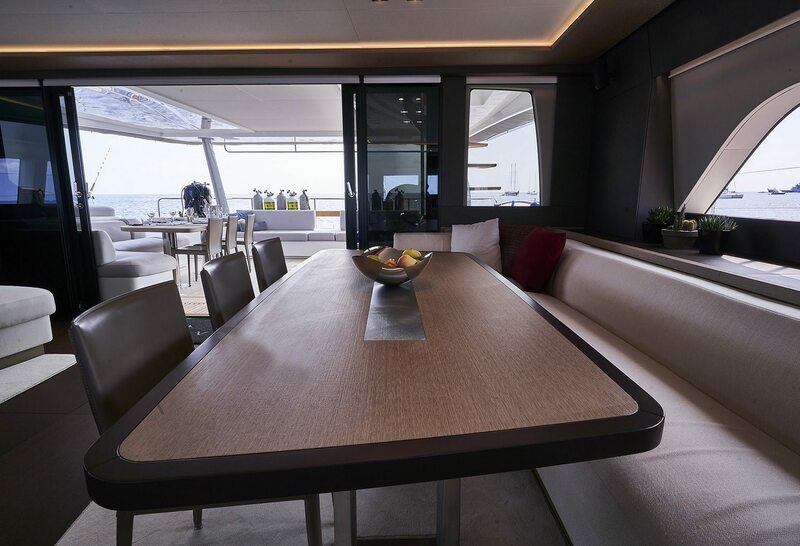 The flybridge above provides another vantage point for taking in the views, dining and reclining during sojourns at sea. 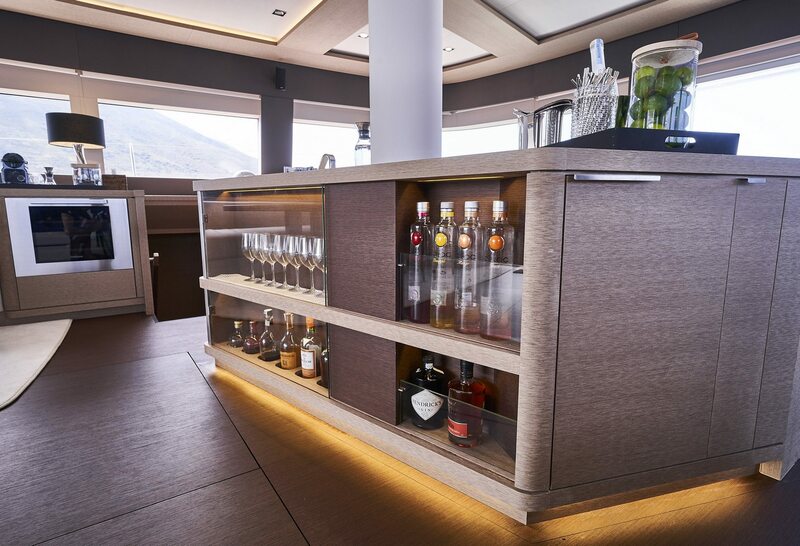 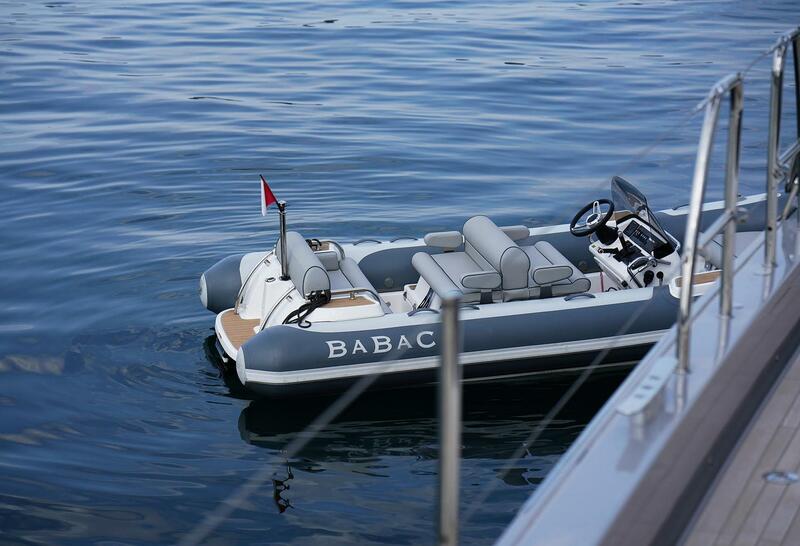 BABAC comprises all the features of a 5-star vessel and so much more. 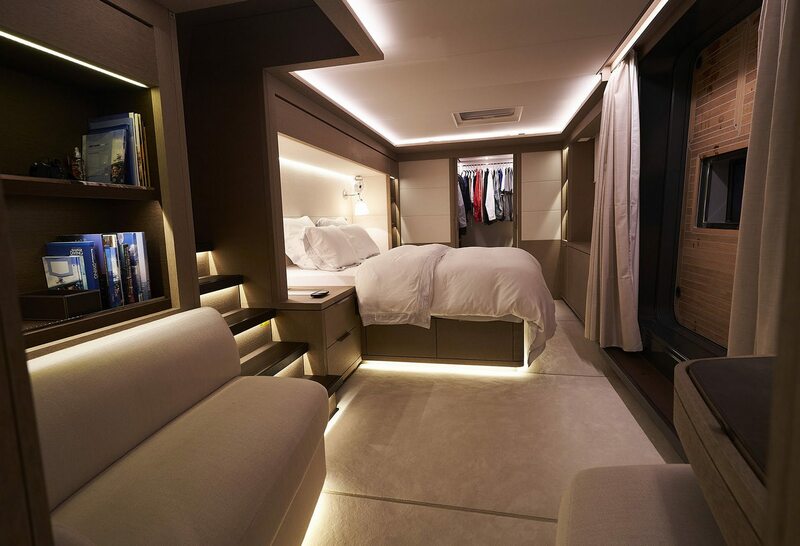 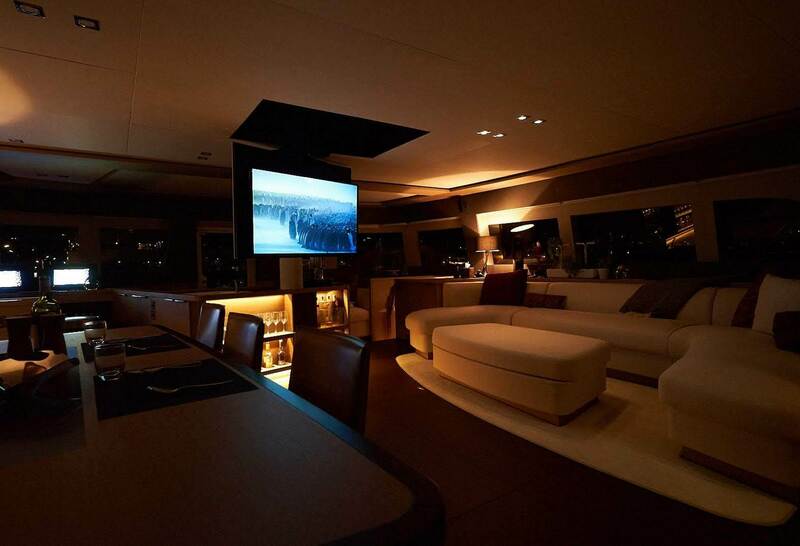 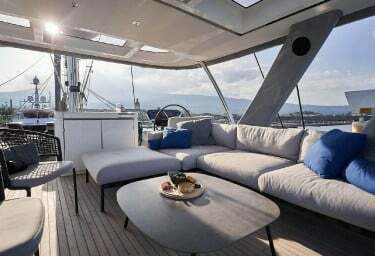 Her main distinguishing feature is the master suite, independent of the rest of the vessel with the magnificent balcony unique for a sailing vessel and allowing sea breezes, scintillating views and access to the water. 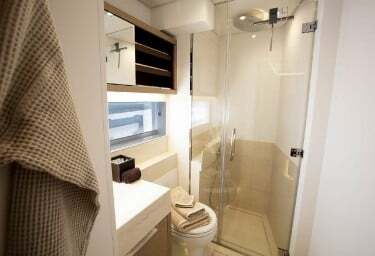 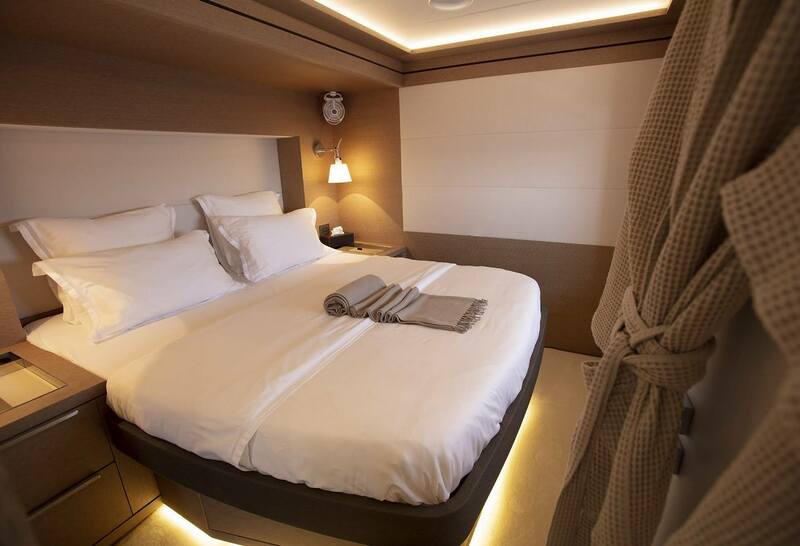 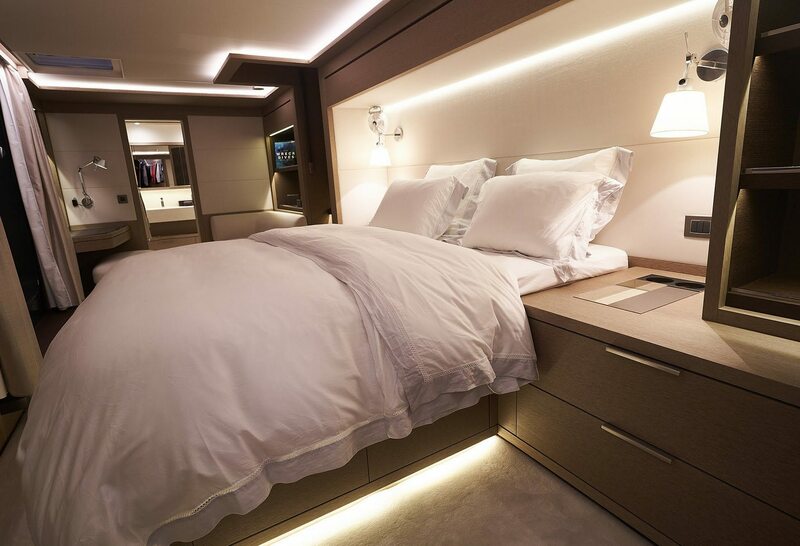 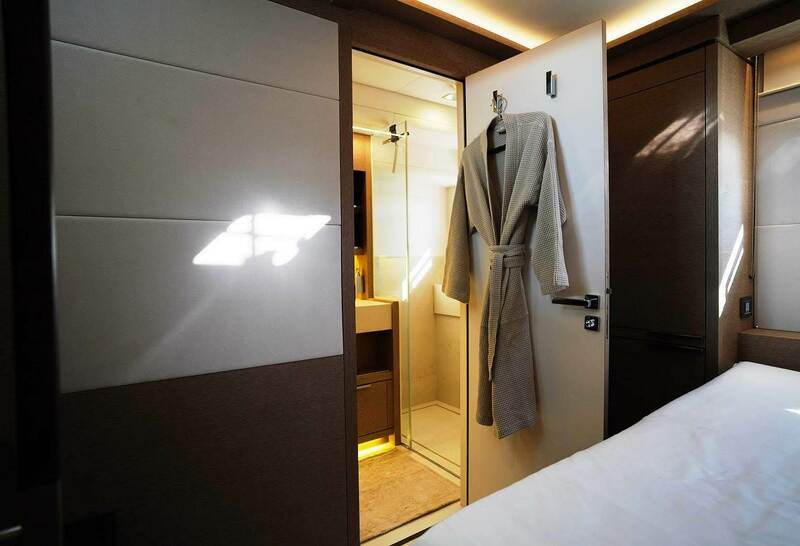 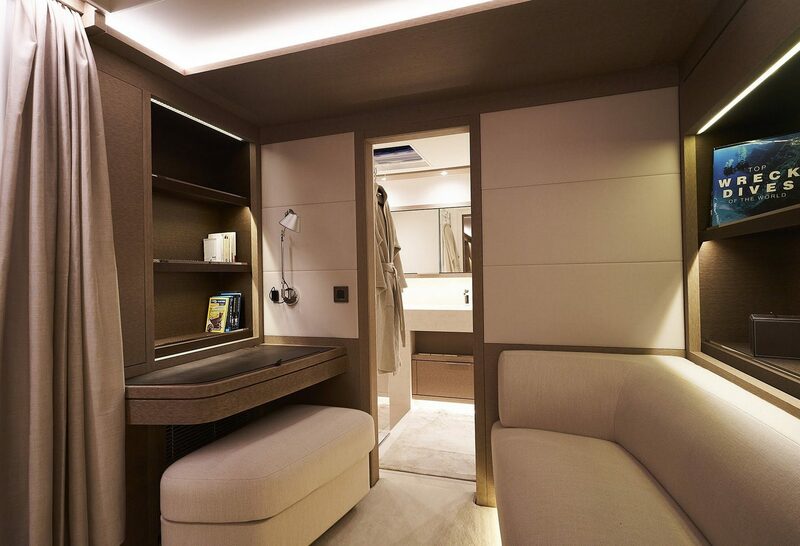 The remaining guest accommodation is just as airy and spacious, with three lavish cabins each with ensuite, and the fully-equipped professional galley from which the onboard Chef will create gourmet menus entirely personalised for you and your guests. 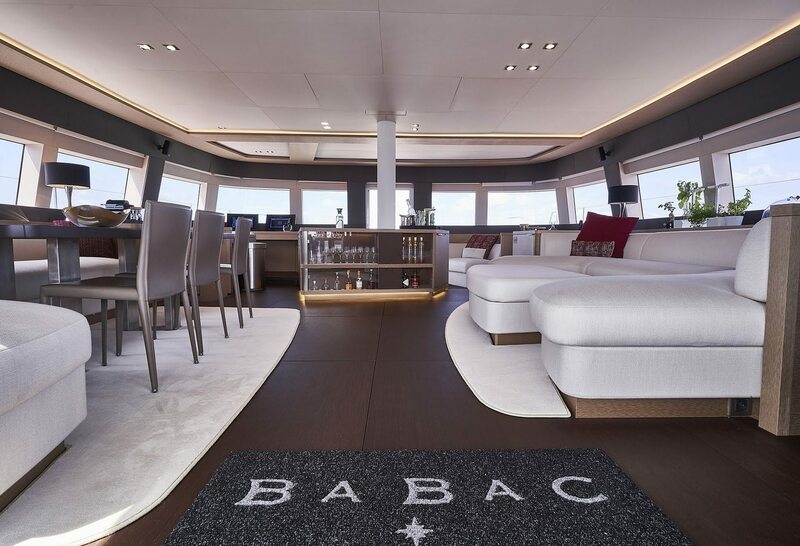 BABAC'S massive stern platform will entice charter guests to spend much of their time sunbathing and socialising, while also serving as a tender dock and access area for BABAC'S array of brand new watertoys. If activity and adventure are on your list during your Mediterranean (or Caribbean) charter, BABAC can deliver! 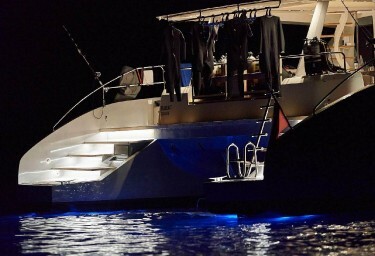 She is filled to the gunwales with the watertoys and tenders required for hours of on-water fun for all ages and abilities. Gear onboard includes wake boards and water skis, tow tubes, snorkeling equipment, two Seabobs, inflatable stand up paddleboards, quadski for certified guests and a superfast Williams jet tender for smooth, dry rides to shore. 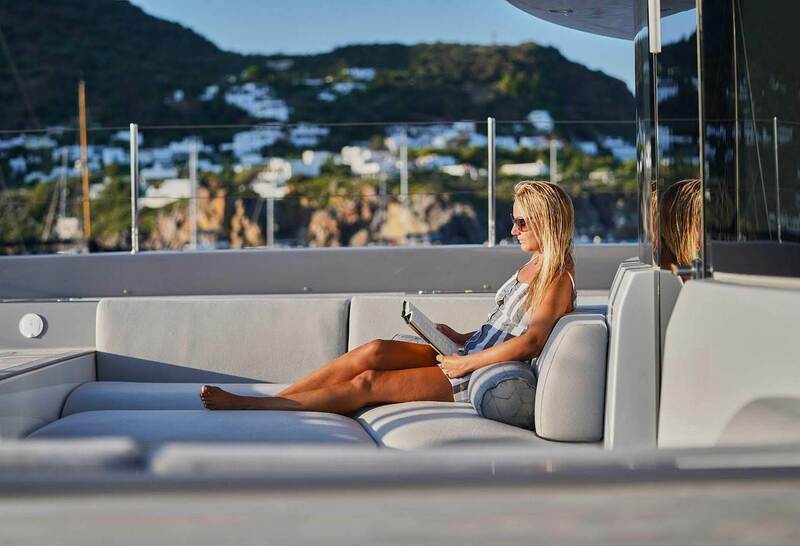 Ideally configured for a luxury charter vessel, BABAC features free-flowing spaces from aft deck through the saloon with a door through to the foredeck, offering multiple social and relaxation areas, sculptural lines and luxurious details. 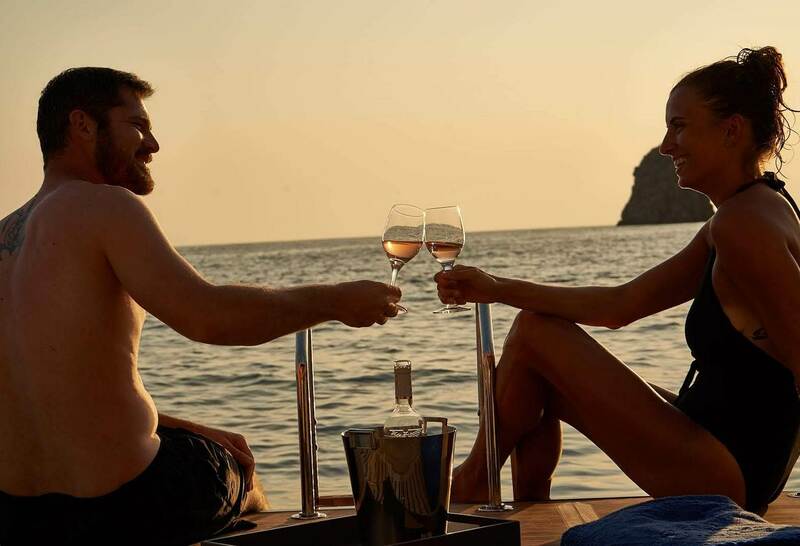 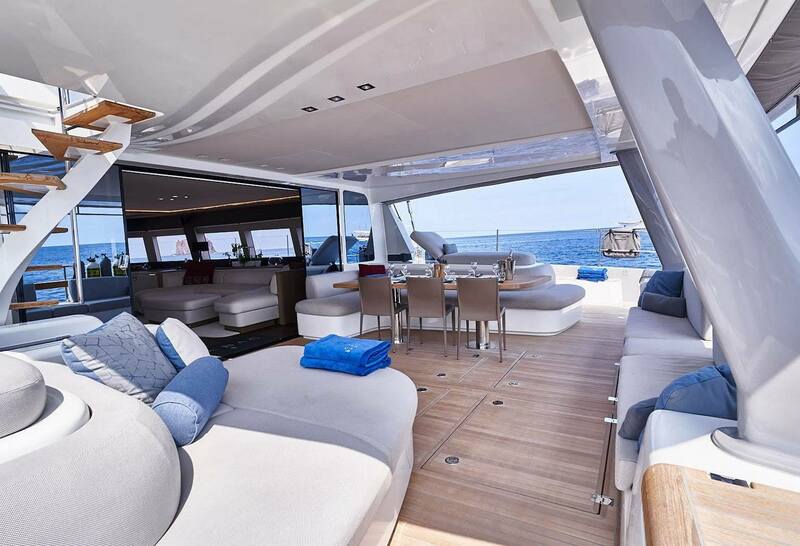 For her fortunate charter guests, BABAC also has a massive forward deck with plenty of room for relaxing including two lounge areas and a large trampoline for relaxing above the water and catching the tropical breezes day or night. 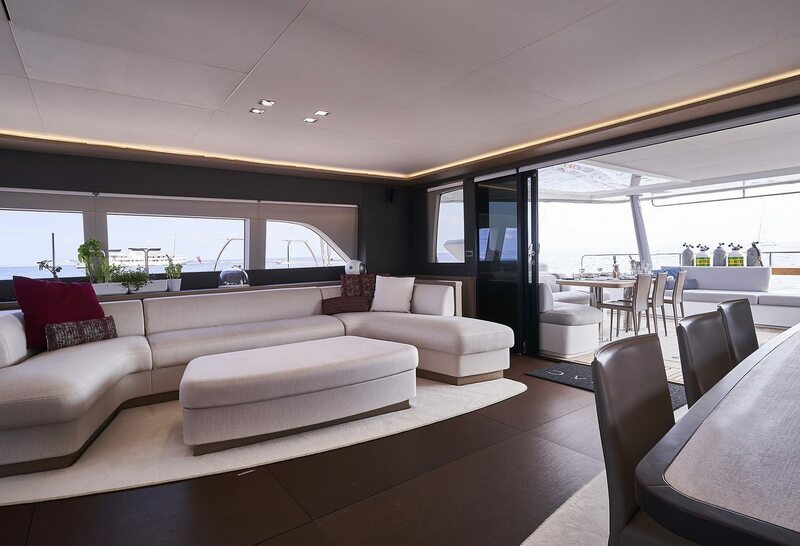 BABAC's other impressive features include high-end rigging, carbon fire boom, high-tech electronic systems, carbon fibre helms, marble and timber interiors, and much more. 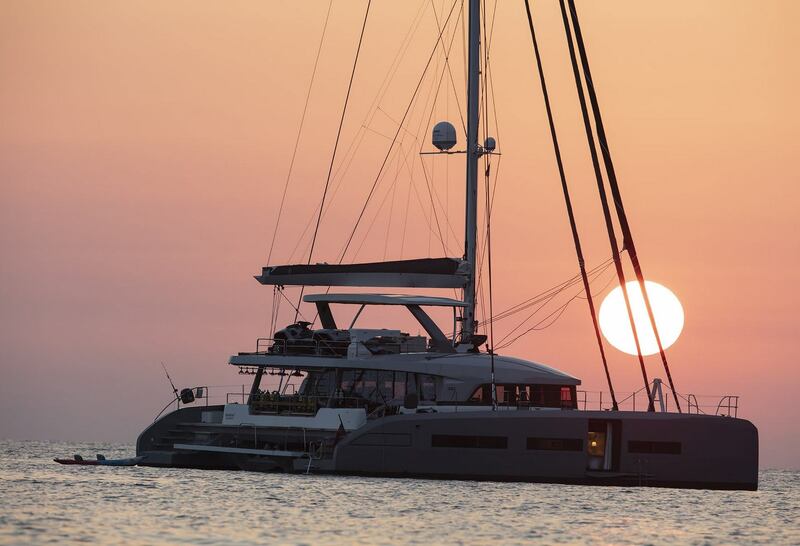 Best of all, being a superbly crafted Lagoon catamaran, BABAC is supremely stable, unrivalled in volume, and elegant under sail. 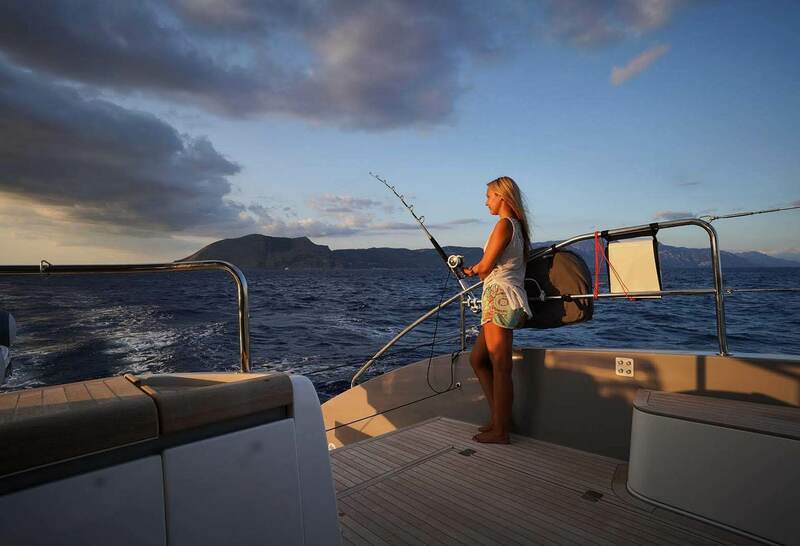 Captain Gareth Wood has been at the helm of superyachts for more than 12 years, most recently the brilliant Xenia74 with his wife and Chef, Kristine Andreassen, and has managed and skippered several vessels in charter. 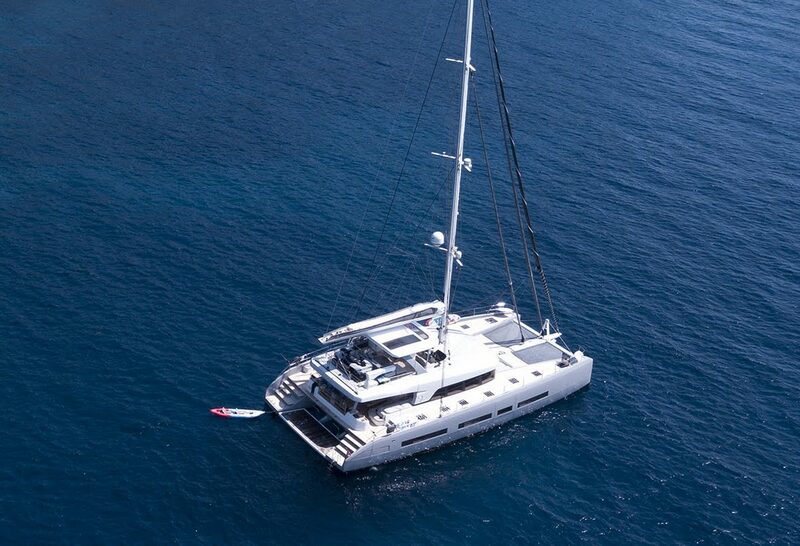 He has extensive experience in electronics and boat mechanics, as well as a keen interest in sailing and scuba diving. 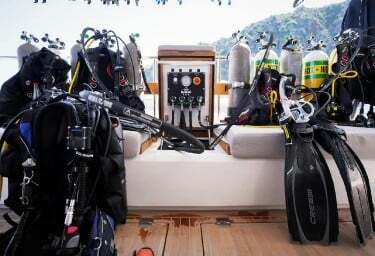 Equal parts active and artistic, Captain Gareth is a keen photographer, and brings his fully professionalism and passion for charter to the benefit of his fortunate guests.He is also well versed in the hidden anchorages in secluded bays of the Med, and is enthusiastic about sharing his love of sailing, diving and exploring the underwater realm with charter guests. 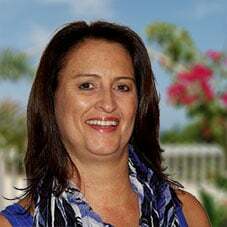 Chef Kristine is widely acclaimed as one of the best and most accomplished in the business, praised by guests for expertise and sheer deliciousness of the meals and morsels she prepares. 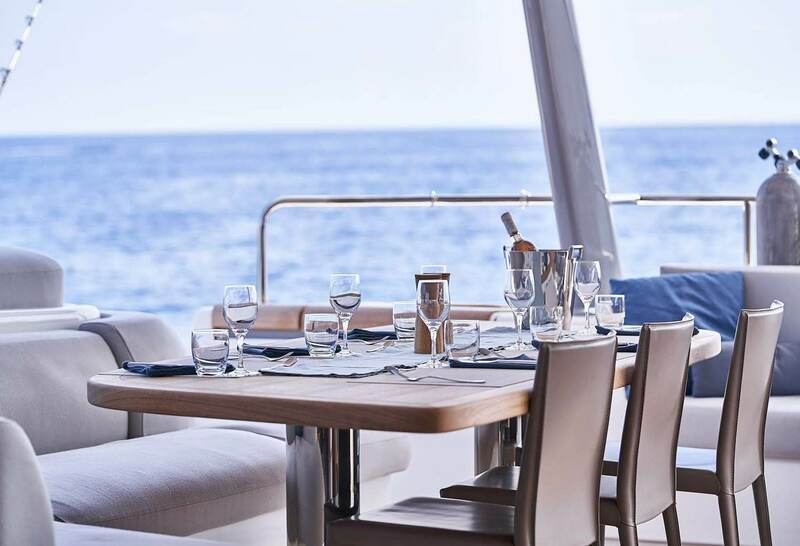 Drawing on the world's cuisines and cultures, Chef Kristine conjures mouthwatering menus with a myriad of options to satisfy all palates, even the most connoisseur. 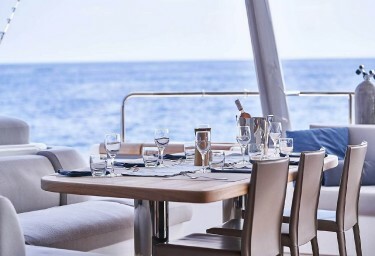 Reserve your charter aboard BABAC now and be one of the first to savour the pinnacle of 'la belle vie' of luxury charter.